Mac battery replacement? How much does it cost? 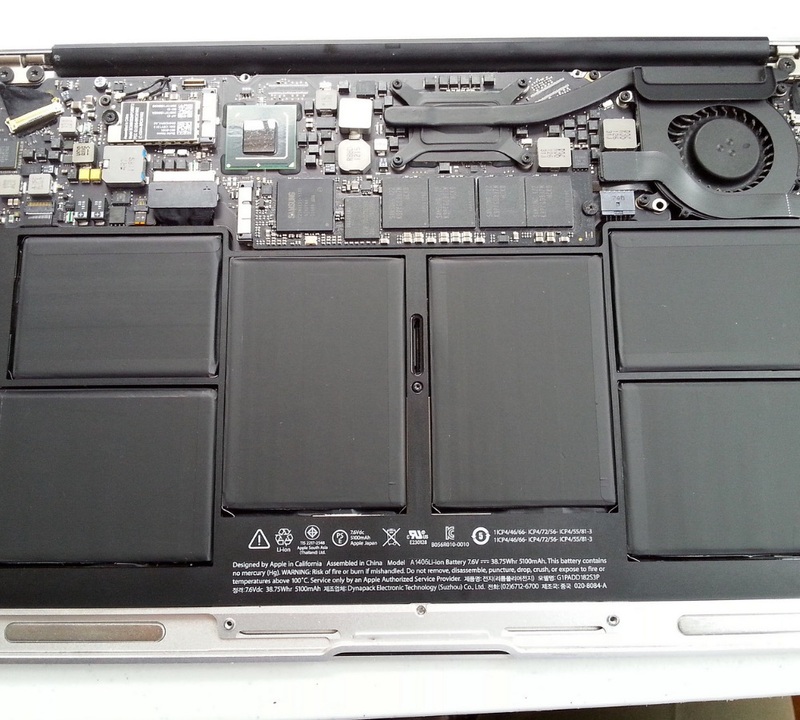 How to replace battery on MacBook Air? If your Macbook Air battery doesn’t work well (doesn’t charge or doesn’t hold charge long enough), then look into replacement. You can easily save $70+!! One of the ways to save good money to be living frugal is to do anything you actually can with a bit of time. Here’s one of the easy one you can actually do. Though it may not be that much to replace one laptop battery, if you end up replacing family members’ battery, etc., then the saving will be THAT much. 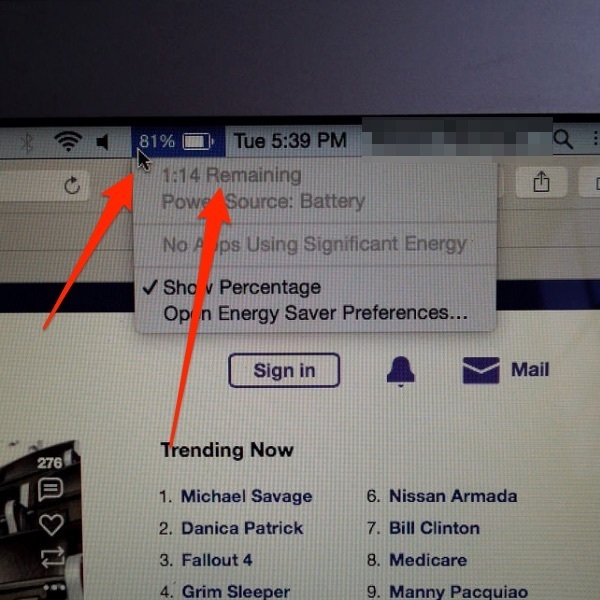 Our older MacBook Air started to power off on its own when the battery indicator still showed something like 46%. We noticed it a few weeks back. Recently, it started to die when the battery indicator showed close to 100%. 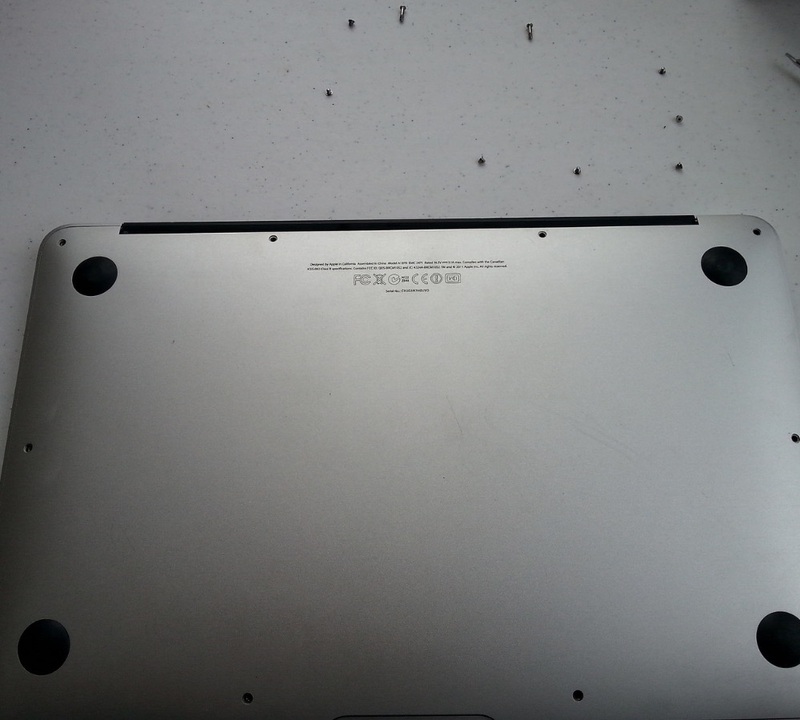 This MacBook Air is already 4.5 years old without any prior battery replacement or service. So I looked into how to replace it more reasonably priced without going to the Apple Store. Note: If your MacBook is less than a year old or if you have AppleCare protection plan, you should definitely pursue getting your battery replaced through Apple! 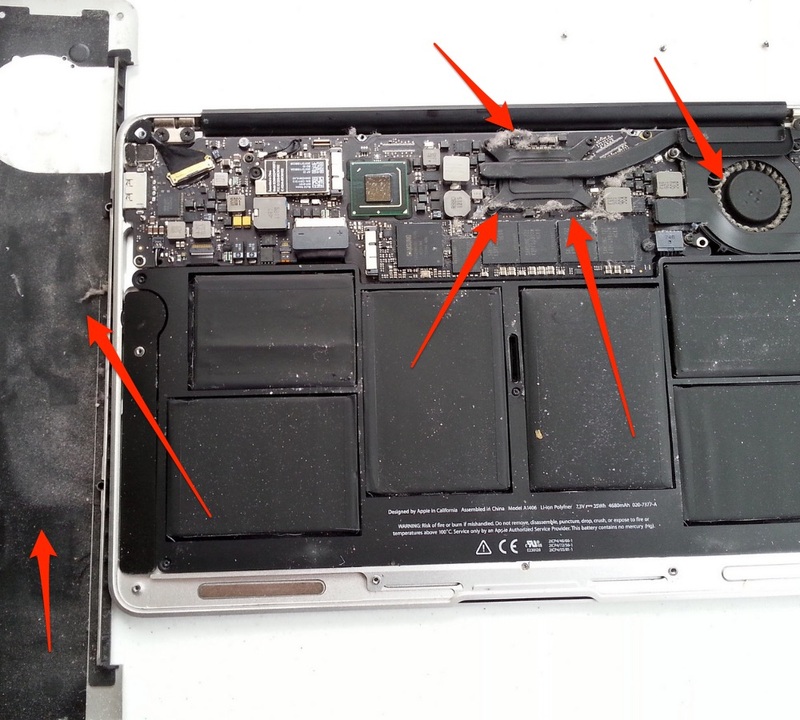 Otherwise, here’s easy how to replace MacBook Air Battery, DIY style. First, check out what’s involved. Get Your Battery Life Back NuPower batteries are engineered to be a Perfect Fit Solution for your 13″ MacBook Air, and are rigorously tested for long-lasting reliability. 4 Apple Store Battery Replacement? 5 MacBook Pro Battery Replacement Cost? 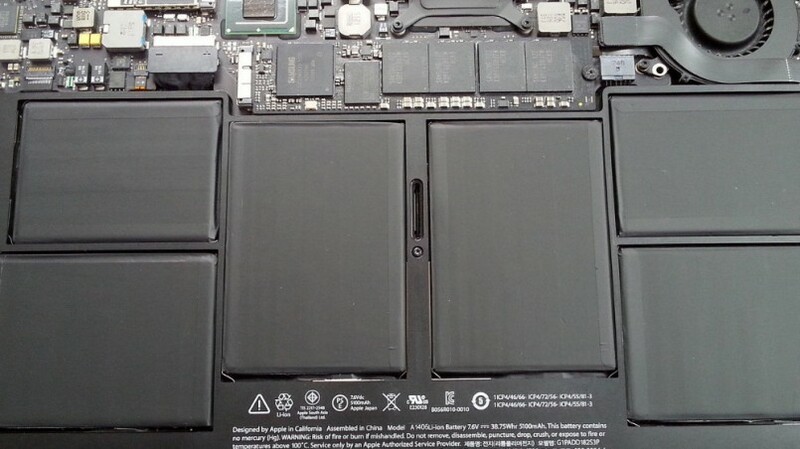 6 Macbook Pro Retina Battery Replacement? 7 MacBook Battery Replacement Complete! Depending on which model you have, the final cost varies. Yet, here I can tell you that my cost for replacing MacBook Air (2011 version) battery was ~$56 and 20 minutes of my time. This is DIY! Though the cost of the battery at Amazon was $56, I had $30 worth of Amazon gift card on my account, and the final cost came down to be at $26. That’s a pretty good deal! Some people ask me how I get Amazon gift cards for FREE. I do this one. Check it out if you are interested. This method has saved me quite a bit lately. Your Battery Model: You must make sure to get the one that fits your computer! Yet, this could be difficult since there are so many models available. So for MacBook batteries, this site helps tremendously. Just type in your serial and it will tell you what model to get. See below. Warranty: I plan on keeping my MacBook Air for a long time to come. As such, warranty is very important. Many good battery vendors provide 18 – 24 months warranty. So 18 months warranty on this one is a good one. Customer Reviews: You want better than 4 starts (out of 5) at least with higher number of authentic reviews. Amazon usually does a pretty good job on keeping the authentic reviews. So read the reviews! Any Accessaries: To replace any battery, you need some tools. If you have special tools for your particular laptop, that’s great. No problem. For MacBook laptops, they have special shape screws, like Torx 5 and 6 point ones. These are not typical plus, minus screws and you need special ones. This battery replacement did come with all the special screw drivers need, so make sure you check this. Otherwise, you need to get your own screw drivers!! 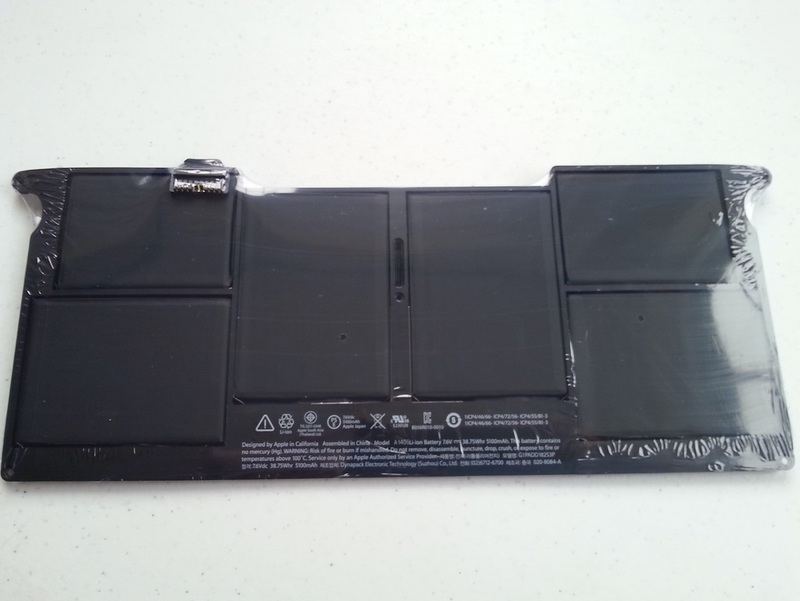 Support Materials: These are not necessarily for just MacBook battery replacement, but look around and make sure there are some support materials available. These days YouTube has everything you need to know, so watch some and understand all the steps to take. If you don’t think you can do it, then ask somebody or take it to the shop to get it done. Vendor or Manufacture name: If all possible, you want a well known name manufacture for the battery. Honestly, I had never heard of Lizone before. So this is somewhat up to you as long as you go through above steps. To find out exactly which battery model to get, first find out your MacBook model then find the correct battery at Amazon. Find by the serial number. 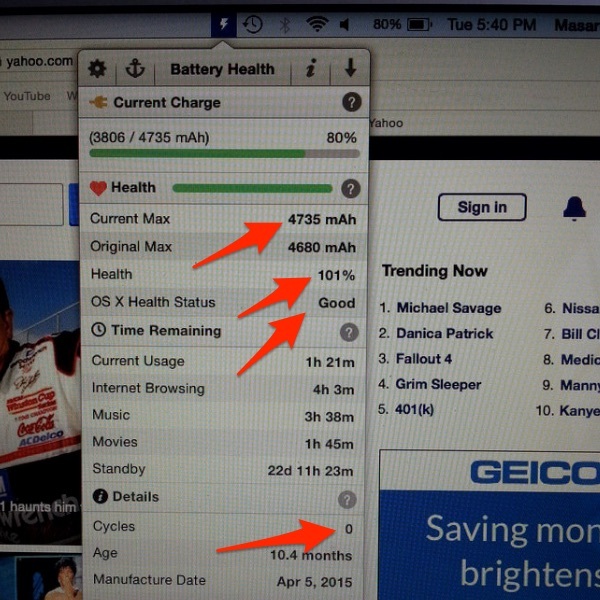 The actual MacBook Air Battery procedure takes around 15 – 20 min. If possible, use the electronics duster spray and clean inside. 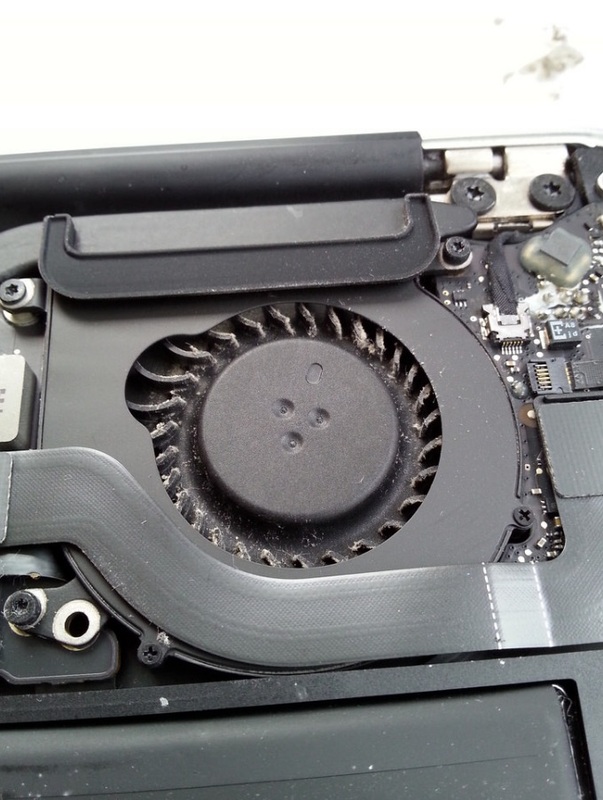 As you will see below, if you haven’t serviced your MacBook in the last few years, you most likely have a lot of dust piled up. Note: Make sure you ground yourself by using an anti-static wrist band of some sort or touch other steel to take static electricity out of your body BEFORE you proceed!! You don’t want to zap your battery. You have been warned. Follow step by step and you will do just fine!! Step 1: Shut down your MacBook! Just make sure it can gracefully shut down before you start. Step 2: Check your new battery. 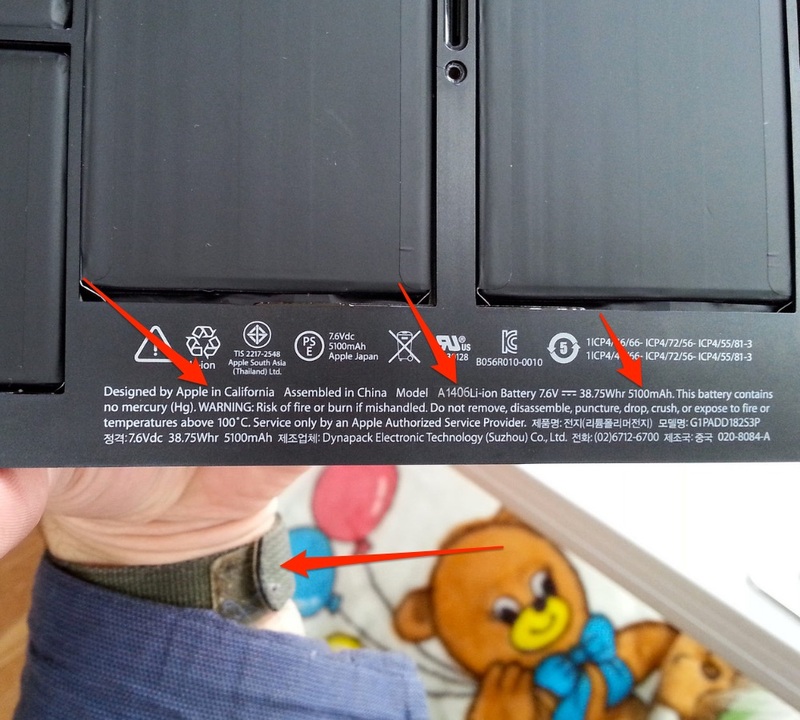 As it turns out, this “appears” to be a genuine Apple battery which I didn’t expect. This is a good sign. 😁😁 The connector you see on the left top of the picture below is the only connection to the main board in the MacBook Air. Others are just 5 screws. Step 3: Take a good look on the new battery. This assumes you actually got the correct model of the battery, and this is to just verify the battery info. You notice this particular battery has 5100 mAh, which is a bit higher than the original battery. Long story short, the higher this number is, the longer the battery will last. So this is another good sign. I am also wearing an anti-static strap so I don’t zap any components. Step 5: Once you open it up, take another good luck, and how it looks. You may see a lot of dust inside. If so, you need to clean it. It’s very important inside is free from dust so components won’t overheat! In the picture below, you see dusts everywhere. Try not to touch these components by hand if all possible. Use a toothpick or something if you have to touch to get the dust out. Otherwise, use an electronic duster spray to remove these dust. Do it outside the house so you won’t get any allergic reactions to it!! Step 6: The picture above showed lots of dust in the fan. Here’s after the cleaning is done. Doesn’t have to be perfect but we want it clean. Once you blow it with the dust spray, we are all set!! Step 7: To take out the old battery, take out the left top connector from the main board, then unscrew 5 screws. This is the 6 point screw, so use the correct screw driver. The one in the middle is a long one, the top 2 are middle long ones, and the bottom 2 are short ones. Then, look at the numbers. What is important is that the output voltage is either same or very close so we make sure the battery won’t fry your board!! Step 9: Now put the back cover and turn it on. We will check to make sure the Mac OS X recognizes the new one and it does!! 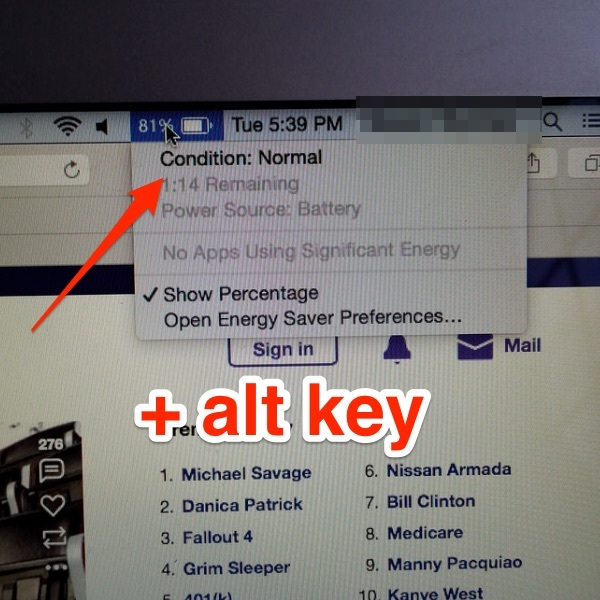 If you push “alt” option key while clicking the battery icon on the top menu bar, you see the actual battery condition. You want “Good” condition, and if you use a free battery health monitor application, you see it’s in fact a brand new battery!! That’s it! Wasn’t it easy or what?!? So far it’s been two days, and it’s holding the charge pretty well. It is running 4 hrs easy for now. 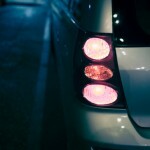 Once you have a new battery, we need to go through the break-in procedure. That just means you condition the battery well so that it will last good with good capacity. Just run it until the power shows 5%, connect power, wait at least 2 hrs after it hits 100%, and repeat this process again for a few times. Then, it should work as new!! 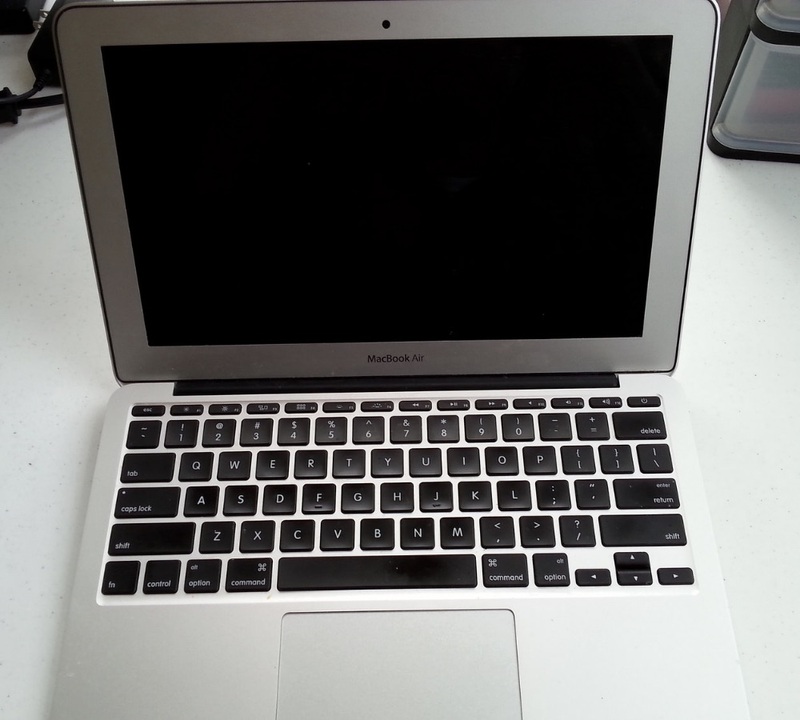 For MacBook Air (2011 version), the Applet Store battery replacement may charge around $129 plus tax. Others could go as high as $199 plus tax. This is assuming you don’t have AppleCare protection plan. In many cases, when you really need to replace the battery, you are most likely out of the AppleCare protection plan period. As such, if you do decide to go to the Apple Store for battery replacement, get ready to pay these high price tags. MacBook Pro Battery Replacement Cost? Refer to this site on cost. Macbook Pro Retina Battery Replacement? Again, refer to this site on cost. Same info here from above. 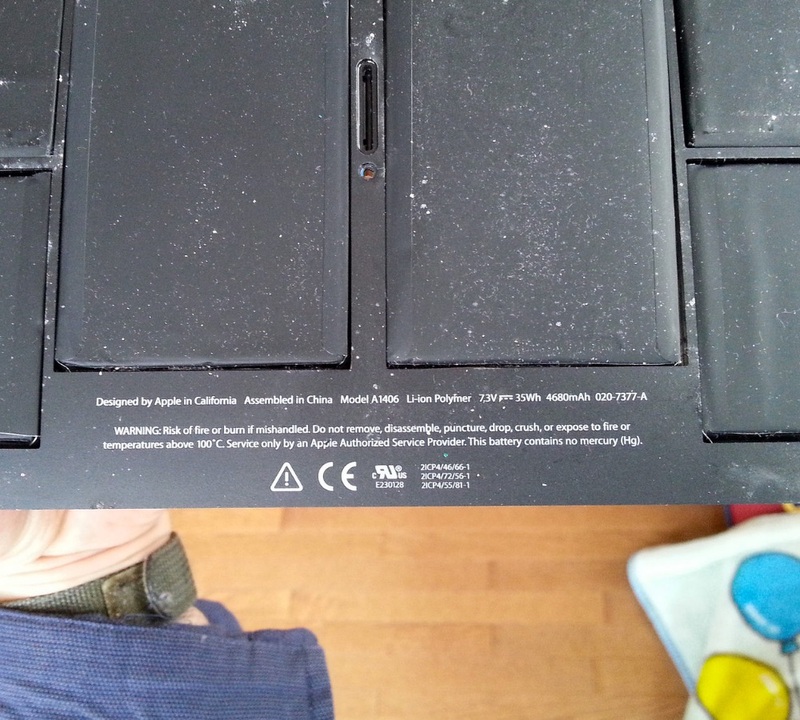 I hope this post has given you how easy it is for MacBook battery replacement. 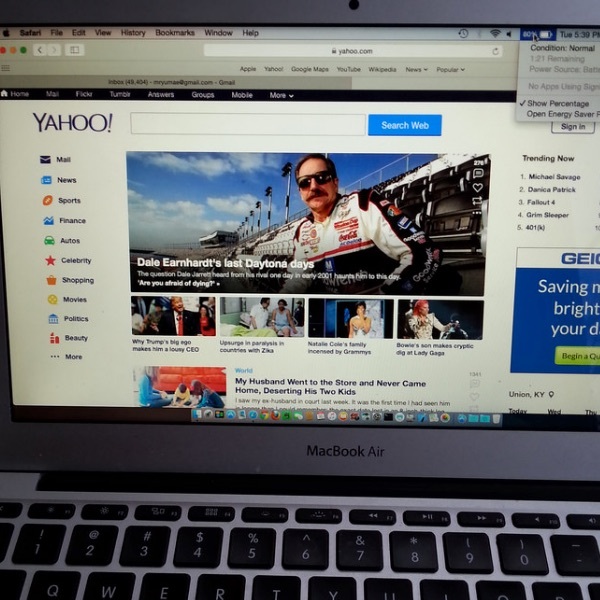 Most PC laptops and other Mac models follow similar procedures. Some may even not need any special screw drivers! I would love to hear your experience on laptop battery replacement. Leave a comment below!